In 1995, in the first contested election in the history of the AFL-CIO, John Sweeney won the presidency of the nation's largest labor federation, promising renewal and resurgence. Today, less than 7 percent of American private-sector workers belong to a union, the lowest percentage since the beginning of the twentieth century, and public employee collective bargaining has been dealt devastating blows in Wisconsin and elsewhere. What happened? Jane McAlevey is famous--and notorious--in the American labor movement as the hard-charging organizer who racked up a string of victories at a time when union leaders said winning wasn't possible. Then she was bounced from the movement, a victim of the high-level internecine warfare that has torn apart organized labor. In this engrossing and funny narrative--that reflects the personality of its charismatic, wisecracking author--McAlevey tells the story of a number of dramatic organizing and contract victories, and the unconventional strategies that helped achieve them. "Raising Expectations (and Raising Hell)" argues that labor can be revived, but only if the movement acknowledges its mistakes and fully commits to deep organizing, participatory education, militancy, and an approach to workers and their communities that more resembles the campaigns of the 1930s--in short, social movement unionism that involves raising workers' expectations (while raising hell). Jane McAlevey Jane McAlevey spent twenty-five years as an organizer in the student, environmental, and trade union movements. She is a Contributing Writer at "the Nation," and lives in the San Francisco Bay Area. “This book casts a bright light on the problems of American unions. Jane McAlevey gives us an on-the-ground account of the obstacles the union hierarchy throws in the path of a bold and energetic organizing effort that scored a string of brilliant successes before the hierarchy cracked down. 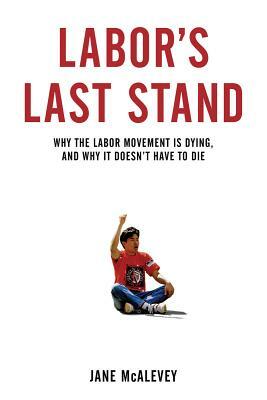 We need to read this book and learn its lessons partly for what it tells us is wrong about unions, but also because it demonstrates that good organizers can in fact succeed. That message is heartening because the simple truth is that we can’t rebuild a democratic left in the United States without a revived labor movement.”—Frances Fox Piven, author of Who’s Afraid of Frances Fox Piven?